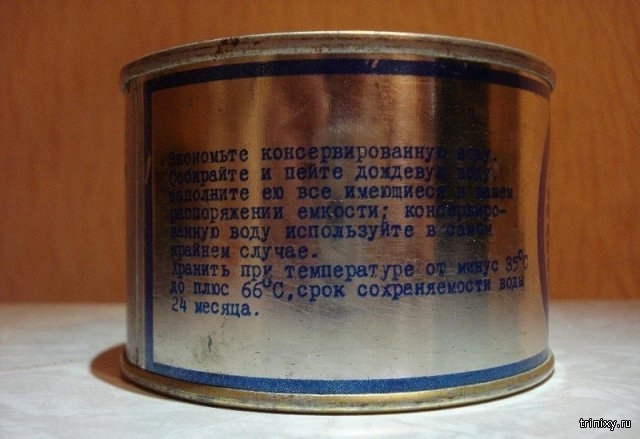 This thing you see on a photo above is tin can of.. regular drinking water – that’s what it says on it: “Canned drinking water, net weight 240 g. Use canned water in extreme cases, try to collect raining water”. 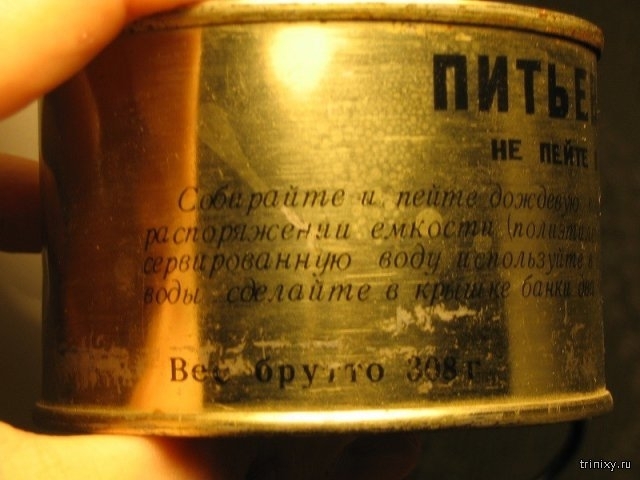 So what were the most extreme cases when you needed a canned water? 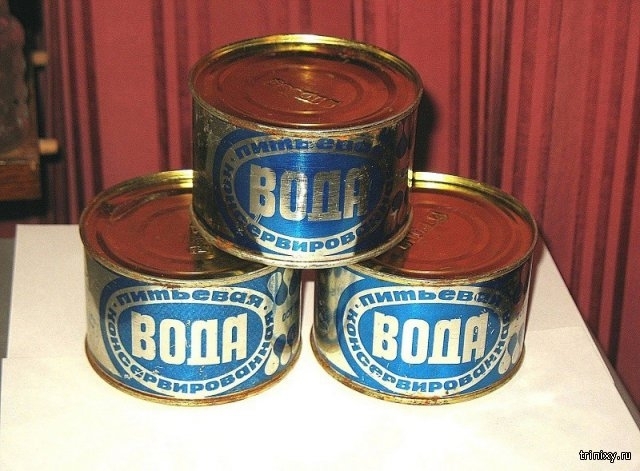 First of all these tins of water were part of emergency rations in different types of bomb shelters across USSR. “Don’t drink this water in your first day” was stated in bold on those cans, so they were saved for somebody who had to stay in a shelter longer than one day. Another ground op people who needed canned water were sailors. 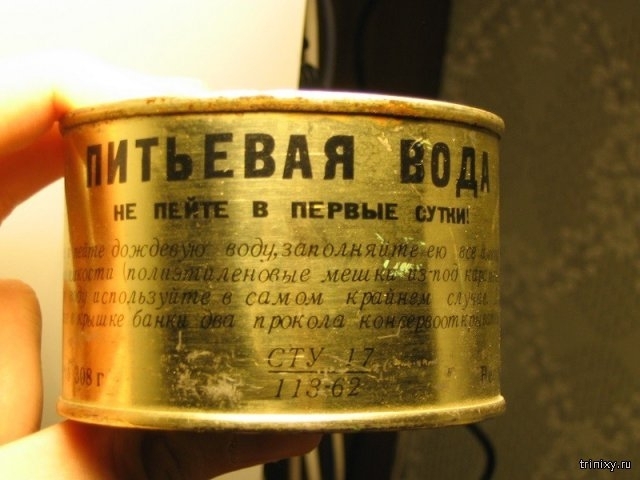 Those canned water tins also were given to the sailors to be used in case their ship is sunk and they found themselves in open seas. But again sailors were warned: “Preserve your canned water, fill all the available containers with rain water at first.”. Intersting enough this water had an expiration date of 24 months since its production. 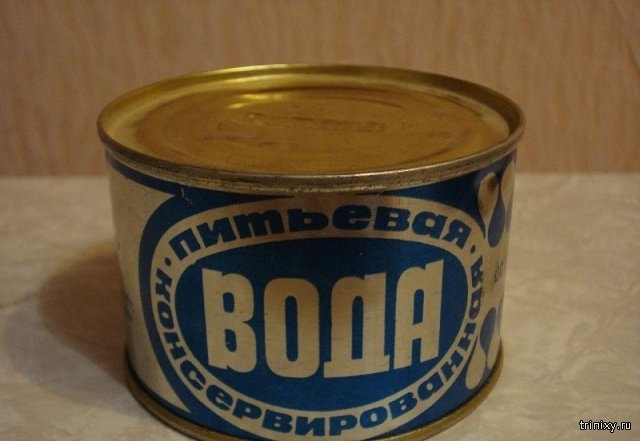 Other use case for the can water was in case of nuclear fallout or chemical attack on your city/facility. In this case all natural water sources become considered to be poisonous and had to be cleaned up with special reagents. You couldn’t use the rain water too. So this canned water came handy again. “Make two holes on top of this container with a sharp knife, then drink”. 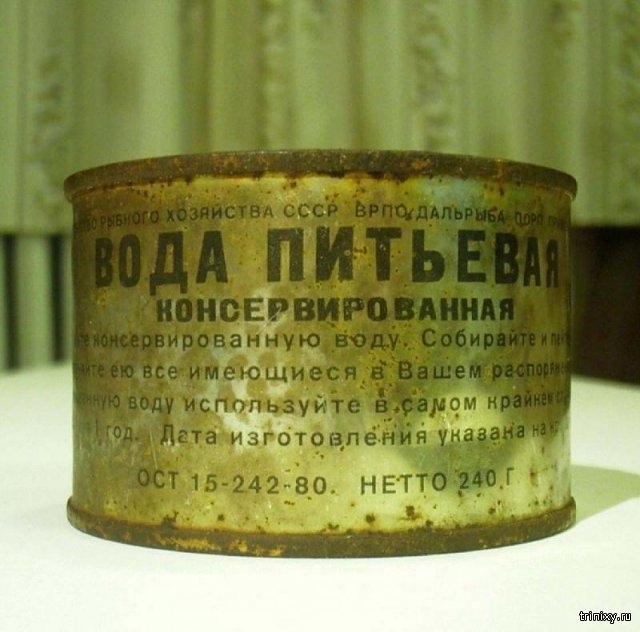 Interestingly enough, no plastic bottles were used for storing “emergency water” in USSR. 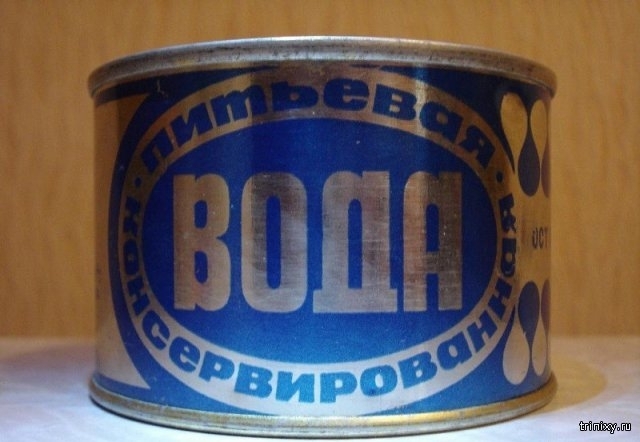 There might be a few reasons for this – like plastic bottles are less durable and in case physical damage or explosion are more tend to rupture, another reason might be that Soviet industry wasn’t making plastic drink bottles at time – only glass and steel was used, so they preferred steel over the glass. Here is some canned water from years ago here in the U.S..